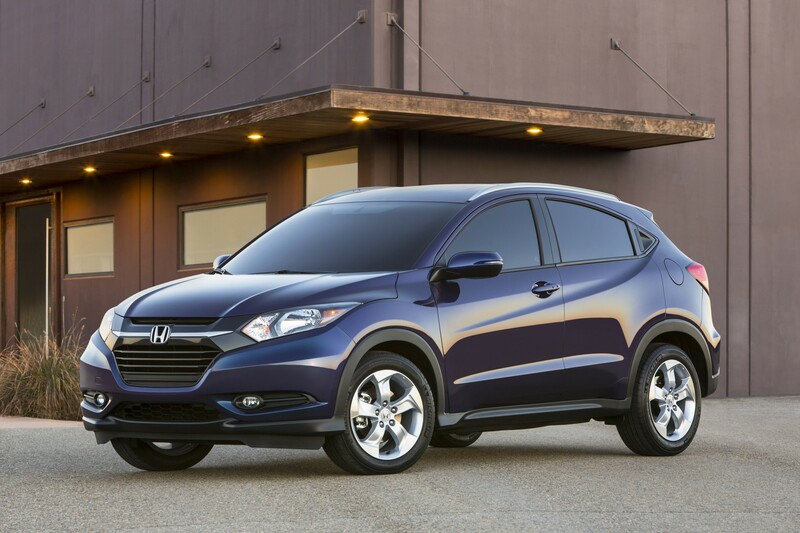 Critics are naming it the next star in the Honda lineup and we couldn’t agree more, the new 2016 Honda HR-V is sporty, roomy, well priced and backed by our reputation for reliability. This new crossover is built on the platform of the Honda Fit, but brings it to a whole new level. What really stands out, are its performance capabilities; it large enough for your family and animals but also has the power to take on steep terrain. The HR-V is affordable, with an MSRP of $20,690 the model is cheaper than all other SUVs in it’s class by a margin of over $4,000. The most expensive version of the model, the EX-L Navi AWD CVT is $29,990. The HR-V’s fuel economy also beats out all other crossovers in it’s class, with 9.3 L/100 km in the city and 7.0L/100km on the highway – averages vary by model. The HR-V is powered by a 1.8-litre i-VTEC four-cylinder, that’s 141 horsepower and 127 lb./ft. of torque. The 2016 Honda HR-V is spacious leaving enough room for every of its passengers to be comfortable regardless of their seating. The front panel includes is a 7-inch colour screen on the centre stack that hooks into a 160-watt four-speaker audio system. All models offer heated front seats, power mirrors and door, de-icer, a rearview camera, cruise control and a Bluetooth HandsFreeLink phone interface. The HR-V cargo space is unique and spacious. With foldable rears seats, the space grows to include 58.8 cubic feet of space, over 5% larger than any other crossover. The seats can also be folded up, if you require space for tall items. The exterior is sporty and classic and is actually inches shorter than the Civic. The HR-V is the perfect family vehicle for those who don’t need something as large as the CR-V but crave the SUV space and style. HR-V offers almost everything that the CR-V does but, at a lower price point with even better fuel economy! Come into Henley today to take a look for yourself, and who knows, you may even leave with one!